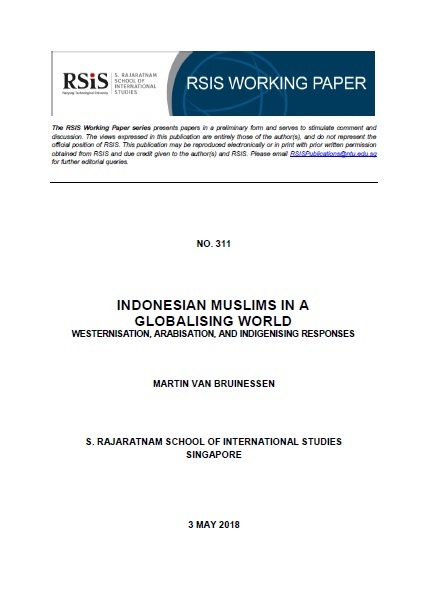 In the two decades since the fall of the Suharto regime, one of the most conspicuous developments has been the rapidly increasing influence of religious interpretations and practices emanating from the Middle East and more specifically the Gulf states, leading observers to speak of the “Arabisation” of Indonesian Islam. In the preceding decades, the state had strongly endorsed liberal and development-oriented Muslim discourses widely perceived as “Westernised” and associated with secularism and Western education. Indonesia’s unique Muslim traditions have in fact been shaped by many centuries of global flows of people and ideas, connecting the region not just with the Arab heartlands of Islam and Europe but South Asia and China. What is relatively new, however, is the presence of transnational Islamist and fundamentalist movements, which weakened the established nation-wide Muslim organisations (Muhammadiyah, NU) that had been providing religious guidance for most of the 20th century. The perceived threat of transnational radical Islam has led to renewed reflection on, and efforts to rejuvenate, indigenous Muslim traditions.